Yes, this is a trivial DIY but I figured I'd post it anyways. The problem is that you can't see what you're doing back there, so it may just be easier to pull the housing out all together, since it's a relatively easy thing to do. 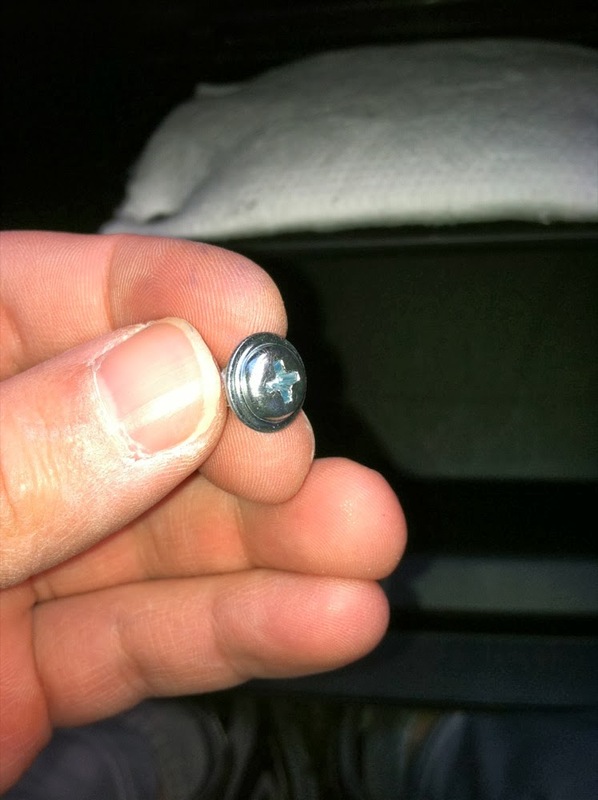 What I was confused about and wanted to mention here is that this screw isn't the only thing holding the housing in. 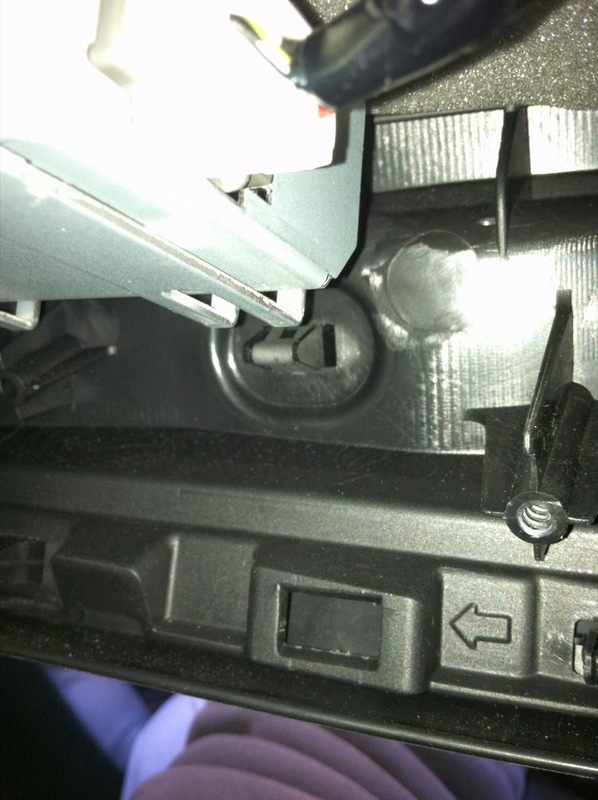 There's a small plastic clip built into the housing, that wedges into the back of the dash to keep it from moving around (I presume). You can see where it wedges in in the photo below (right next to the conveniently places arrow). 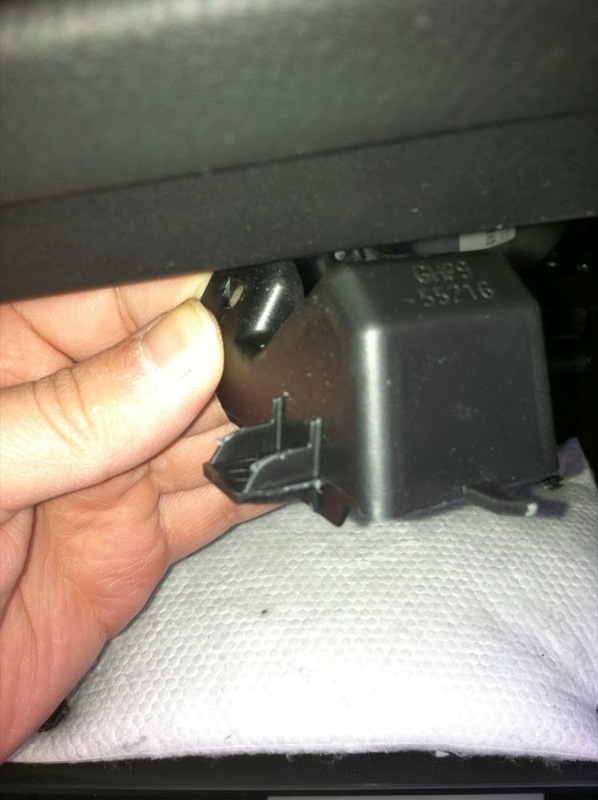 **I wanted to mention this because it's impossible to see what's holding in the housing, and if you're like I am, I didn't want to break anything - so this is telling you don't be afraid to just yank it out. And that's it! 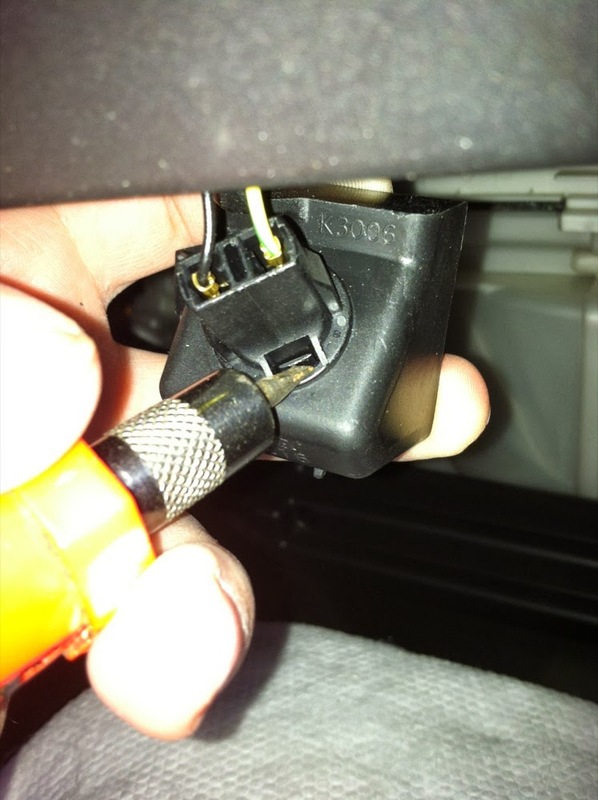 Really simple, but I felt that people who got to the same spot as I did would take some comfort in knowing that, after removing the screw, you can just yank it out. I just replaced mine earlier today. Didn't need any tools. Just reached in and pulled the bulb out, then I popped in a 194 5smd LED in. The only trouble I had was blindly lining up the new bulb. 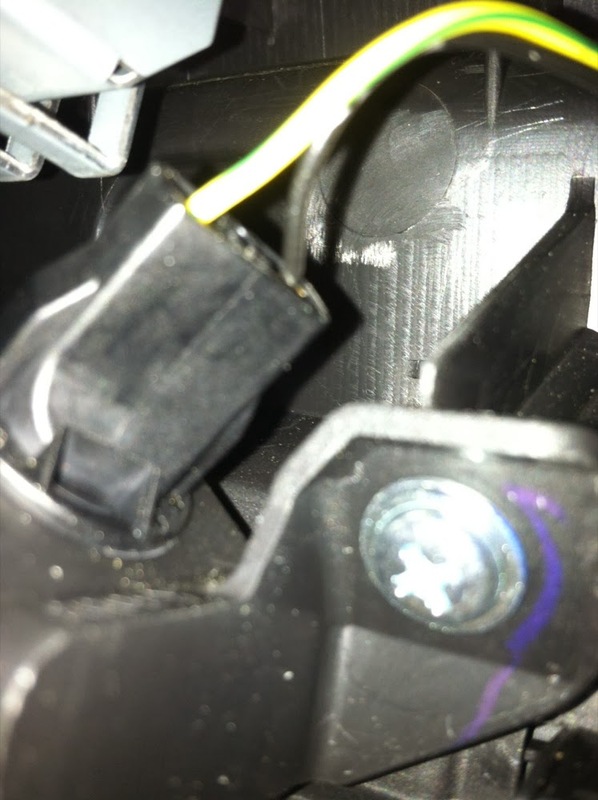 So my new LED glove box bulb won't work regardless of which way I plug it in. So I know it's not a polarity issue, but it might be a wiring issue! Any one have experience in sorting this one out? 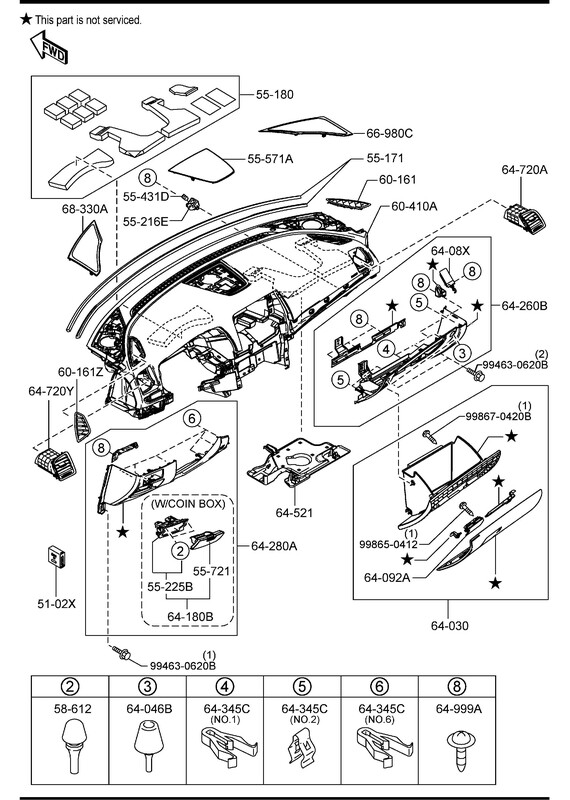 I've NEVER removed the trim of any car, ever, so I'm anxious and nervous as hell and would appreciate some guidance. 1) Does a non-LED bulb work in that spot? 2) If so, check your LED bulbs themselves. Sometimes the little metal pieces that stick out around the base aren't secured well enough or are simply not touching the contacts in the housing properly. Depending on how cheap the bulbs were, you may have just got a crap batch. Yeah, the original bulb is burnt and the LED works when I test it elsewhere...it's just that socket. So it's either the socket or the wiring. Anyone know if this is easy to replace? 1) The dying bulb caused the fuse to blow. Check your fuses behind the panel by your driver's side door under the dash. New ones cost pennies. Last edited by Byakuya; 08-28-2018 at 01:53 PM. Reason: Wrote wrong part number. @Byakuya thanks. I finally figured it out and got my glove box light back on...with an LED bulb this time! I have to add that for those, who're having trouble changing the glove box light, following this guide to the Tee is dead important. Once you do that, you'll have this sorted out in no time. Just have some faith in this DIY guide! lol.